A baby girl who was close to dying from cancer has been rescued by a cell therapy envisioned as a “one size fits all” treatment that had never been tested in people, doctors reported on Thursday. It also represents one of the first times that a novel “genome editing” technique has been used to treat someone. The therapy was developed by Cellectis, a French biotechnology company. But it is hard to say much based on one patient. Also, the girl has been in remission for only a few months, too little time to say she has been cured, said Waseem Qasim, one of the doctors who treated her at the Great Ormond Street Hospital in London. Still, the girl’s doctors “think it is a remarkable outcome,” because she had not been helped by conventional therapies, Dr. Qasim said in an interview. Cancer doctors have been electrified by a new approach that involves genetically altering patients’ T cells, the soldiers of the immune system, so that they can better attack cancers. Some patients with certain blood cancers have made remarkable recoveries. They include a girl who received a treatment developed at the University of Pennsylvania and now licensed to Novartis. Other companies pursuing this approach, often called CAR-T, including Juno Therapeutics and Kite Pharma, have achieved large stock market valuations. But the first versions of their experimental therapies require extracting the T cells from the patient, shipping them to a manufacturing plant where they can be altered, then sending them back and putting them back into the patient, something that will be logistically challenging and costly for thousands of patients. Cellectis’s therapy is meant to work for any patient with a particular type of leukemia. Cellectis’s American depositary receipts soared 18 percent on Thursday, while shares of Juno fell 7 percent and those of Kite dipped 2 percent. Still the personalized treatments could reach the market in the next couple of years, long before Cellectis’s treatment, which will not even enter early-stage clinical trials until next year. The case of the girl’s recovery will be presented to doctors next month at the annual meeting of the American Society of Hematology in Orlando, Fla. But abstracts for that conference were made public Thursday, and the hospital publicized the case. The girl, Layla Richards of London, had acute lymphoblastic leukemia. Doctors tried the usual chemotherapy, a bone marrow transplant and a new type of biotech drug, but nothing worked. Layla did not have enough T cells to allow doctors to extract them and make a personalized therapy. Her parents, Ashleigh Richards and Lisa Foley, were counseled to consider palliative care to keep her comfortable until she died, Dr. Qasim said. But the parents were not willing to do that. In what might be a lucky coincidence, the hospital was already manufacturing Cellectis’s cells in preparation for clinical trials. “We had them in our freezers,” Dr. Qasim said. He is also a professor at University College London, which worked with Cellectis on the treatment. So, with permission from her parents and Cellectis, Layla became the first person to receive the treatment, on what is sometimes called a compassionate use basis. 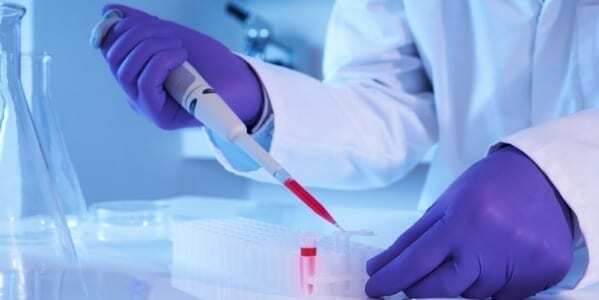 April 11, 2019 - AskBio Reels In $235M to Advance Gene Therapy Clinical Trials XconomyAsklepios BioPharmaceutical (AskBio) has raised $235 million in financing to support its research and development of gene therapies for rare, genetic.